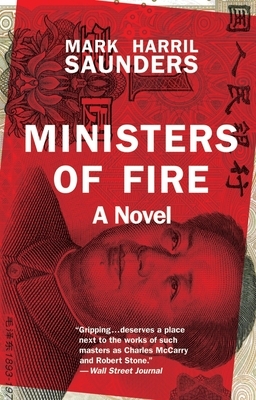 Reminiscent of the best work of Graham Greene and John le Carré, Ministers of Fire extends the spy thriller into new historical, political, and emotional territory. Mark Harril Saunders was born and raised in the Washington, D.C., area and holds degrees from the University of Pennsylvania and the University of Virginia, where he was a Henry Hoyns Fellow. He has traveled extensively in Europe, the Middle East, the former Soviet Union, and China. His writing has appeared in the VQR, Boston Review, and the Virginian-Pilot, and in 2001 he was awarded the Andrew S. Lytle Prize for fiction from Sewanee Review. He lives in Charlottesville, Virginia, with his wife and three children.